Developer : Clipwire Games Inc. Play the FREE BINGO! 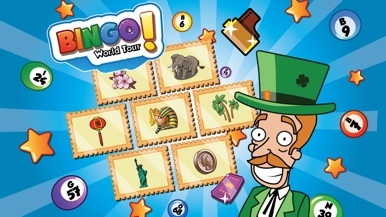 WORLD TOUR 2017 today, travel and explore the world playing cards in exotic rooms and collecting postcards and collectible souvenirs which can be turned in for rewards and tickets. Use powerful power ups to increase your prizes! -Play up to 100 cards in a room at once. Forget Bingo games that limit you to just 4 cards. -100% percent Free to Play Bingo! -Fantastic quality graphics for each unique room. -TRAVEL and EXPLORE 10 countries, with more being released soon! -COLLECT and COMPLETE over 90 collection items and turn them in for prizes. -PROGRESS through over 50 levels as you travel the world. -COLLECT treasure chests and open them for FREE! tickets, cards, coins and MORE! -USE a variety of power ups to help you play and win more prizes! 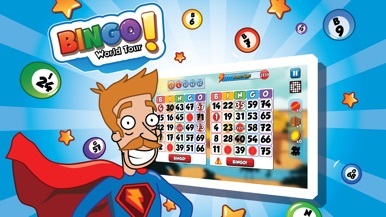 -Multiply your payouts by 100x by playing ultra bingo cards every room! Ready to play to best free bingo game of 2017, download now and get started! 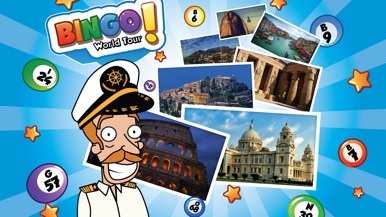 Don't forget, this is the only Bingo game that lets you play 100 cards at the same time in any room. There are plenty of tickets to be won. Free tickets everyday, every time you level up and every time you complete your daily challenge. This bingo game is intended for adult audiences and does not offer real money gambling or any opportunities to win real money or prizes. 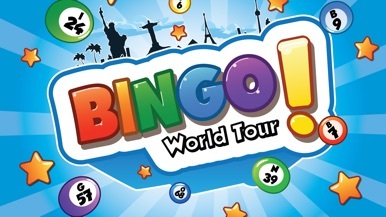 Success within this free bingo game does not imply future success with real money gambling. More by Clipwire Games Inc.